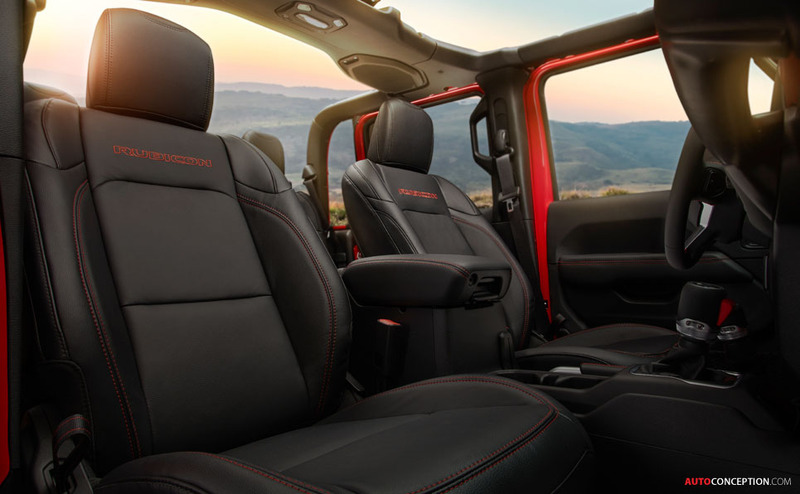 Jeep has this week unveiled the “Gladiator” – an all-new pick-up truck based on its Wrangler model. 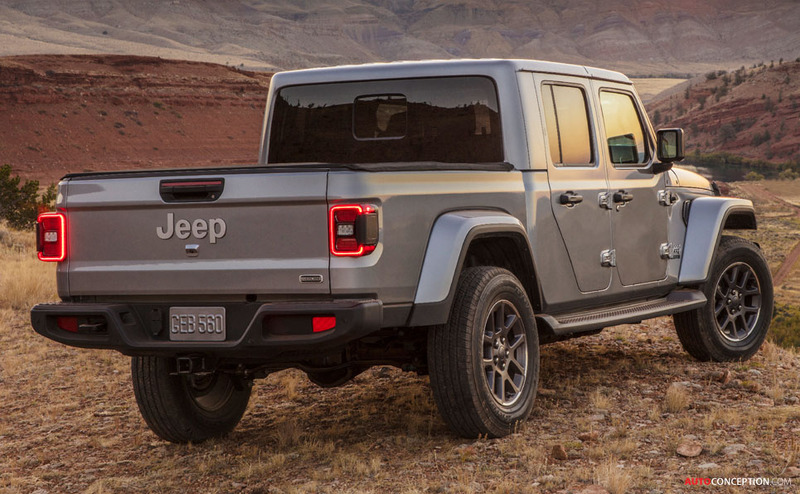 Revealed at the 2018 Los Angeles Auto Show, the new vehicle is the first pick-up the American brand has produced since the Comanche, whose run came to an end in 1992. 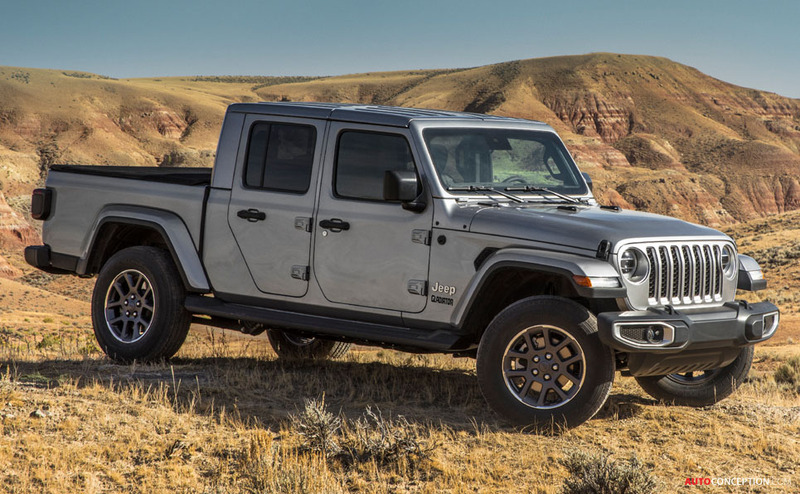 Externally, the new Gladiator features the same design elements as the Wrangler, for example, the round headlights and seven-slot grille up front, the trapezoidal wheel arches and visible hinges along the sides, and the square tail lamps at the rear. 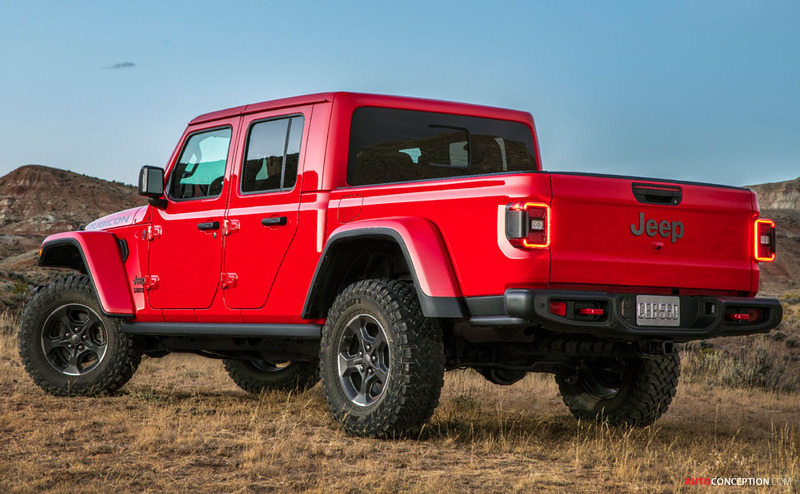 The new 4×4 model also features the same body-on-frame design as the Wrangler (the latest version of which was revealed at last year’s LA motor show), although it gets an all-new steel frame. 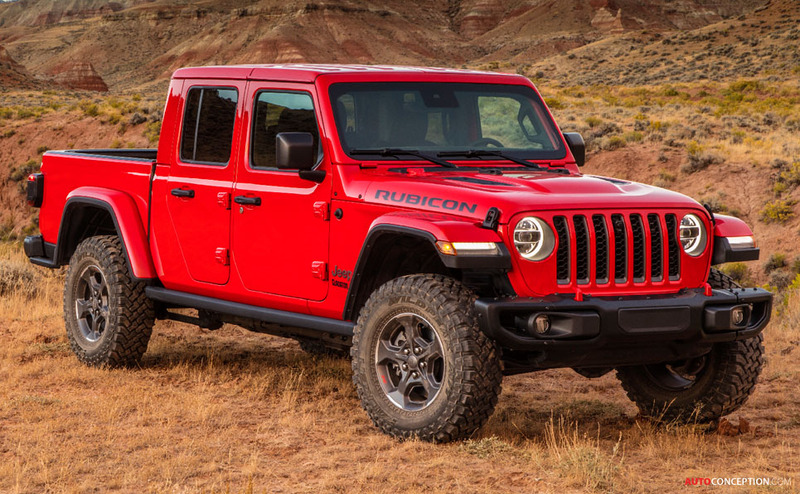 The latter, when compared to the Wrangler 4-door, is an additional 31 inches longer while the wheelbase is 19.4 inches longer. 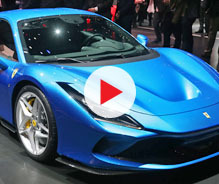 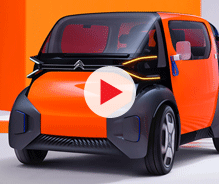 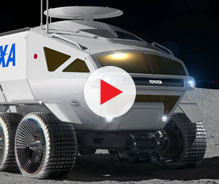 The designers say the longer wheelbase and the bed’s positioning centre aft of the rear axle centreline enables for better weight distribution and a more comfortable ride when carrying cargo (up to 727 kg). 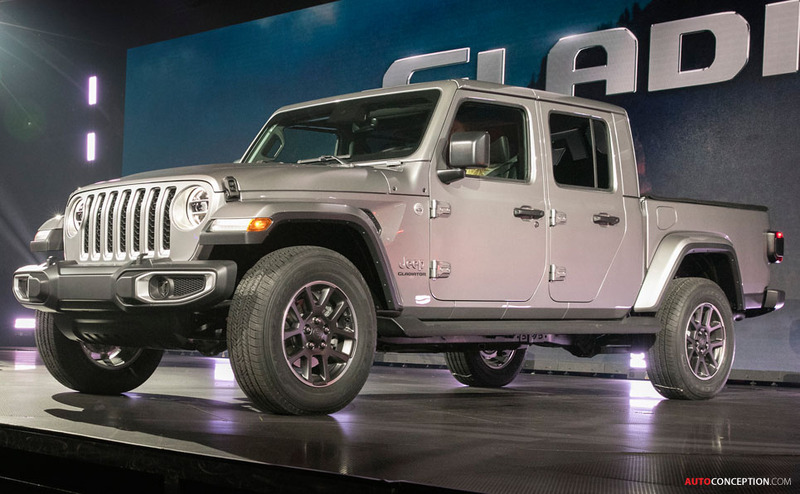 The prop shaft, brake and fuel lines and exhaust system were all lengthened to accommodate the changes needed to make the body-on-frame design work with what Jeep now claims is “the most capable mid-size truck ever”. 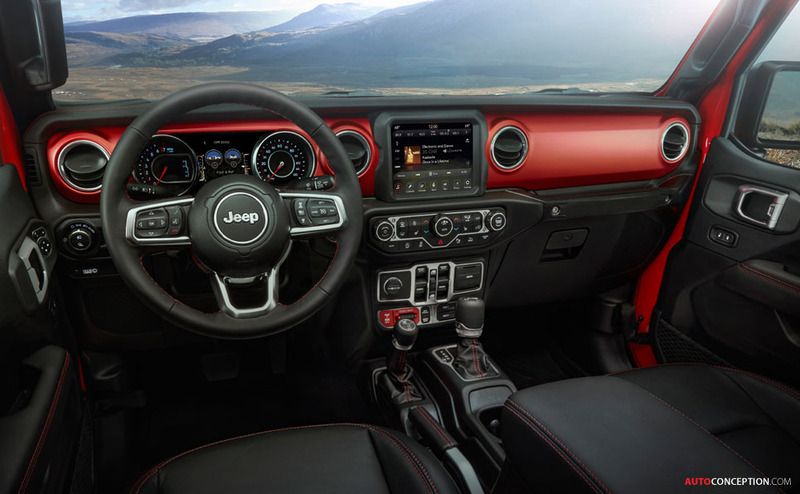 In terms of performance, the Gladiator will be powered by a 3.6-litre Pentastar V6 engine mated to a standard six-speed manual transmission or an optional eight-speed automatic. 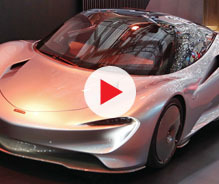 A 3.0-litre EcoDiesel V6 engine will also be introduced in 2020. 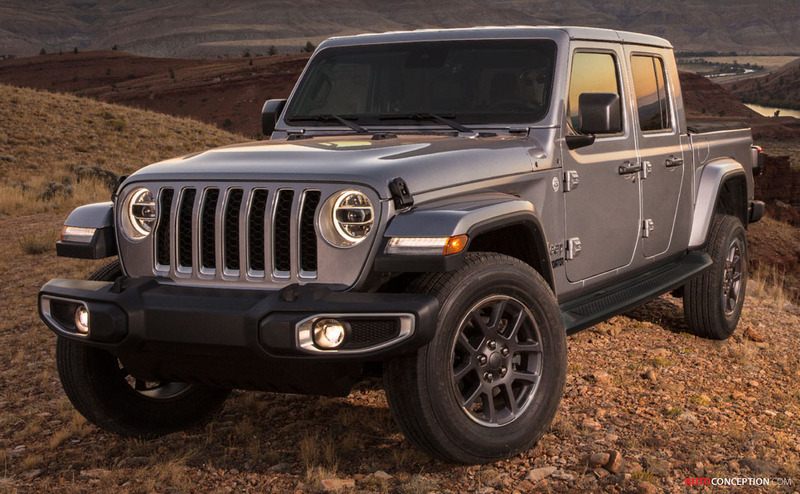 Jeep claims the Pentastar unit delivers over 28o bhp and 260 lb-ft of torque, which enables the pick-up to tow up to 3477 kg. 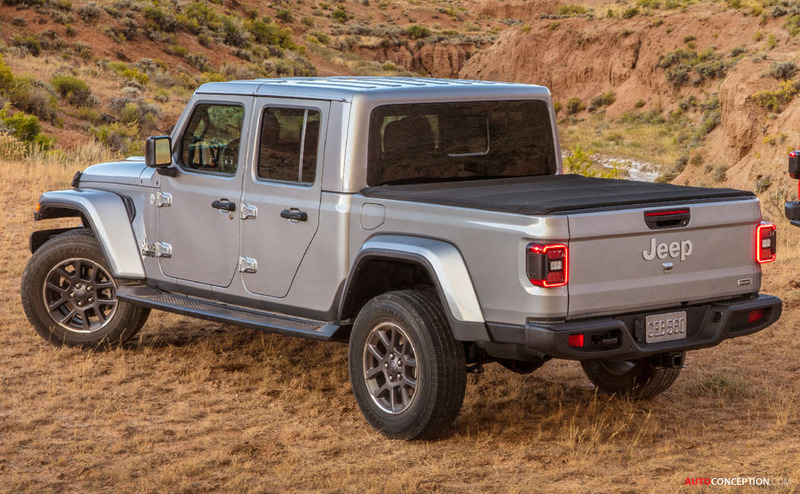 To be built in Toledo, Ohio, the all-new 2020 Gladiator is expected to arrive in US showrooms by the summer of 2019.